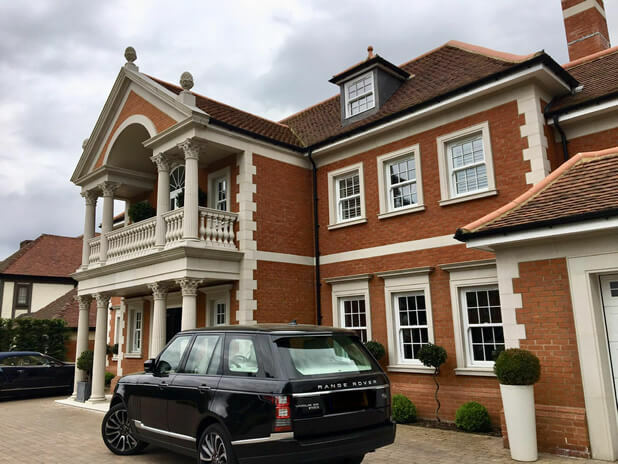 Luke and Roy were tasked with installing shutters to this amazing property in Tunbridge Wells, Kent. The client was looking for shutters for their first floor windows, designed and installed by us. The shutters were created in a full height style using Paulownia hardwood from our Fiji range, a lightweight yet very high quality wood. 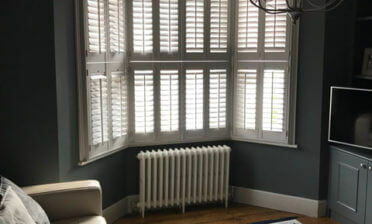 The full height shutters feature mid rails which were measured and designed to match the window lines, creating shutters that not only look aesthetically pleasing, but add strength to the slightly larger panels and extra adjustment of the top and bottom of the shutters. Using a midrail allows adjustment like our tier on tier range, but without the separation of top and bottom panels. 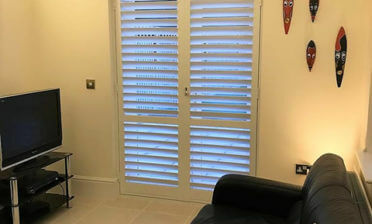 These shutters are great for light regulation and privacy, using thick 89mm louvres to let in maximum light when required and also out thickest louvre option. 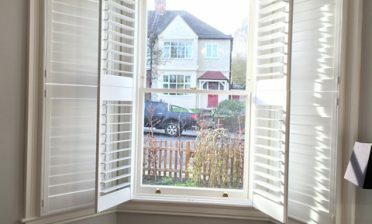 The shutters feature a hidden tilt rod system which allows for adjustment via touch rather than visible rods, helping to create a more modern/clean look which the customer wanted. We used beaded stiles adding more character to the framing. The customer was very happy with the finished product and as you can see they also look great and in keeping with the outside of the property!